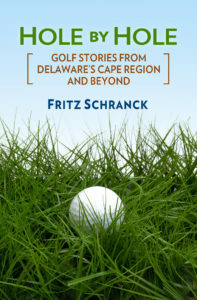 Golfers who play the game long enough also watch their performances go through ups and downs. The ups are frequently assumed to be the norm, while the downs are called slumps. Slumps happen. They should be expected and then worked through to better times. Knowing that fact and remaining optimistic about escaping a slump is not easy, even for the best of us. When Allison Lee joined the LPGA, she had a sterling collegiate and junior record. She won the ANNIKA award as the top collegian for 2013-2014. She played on the U.S. Junior Solheim Cup three times, was a Curtis Cup player in 2014, and won a Pac-12 Championship. As a 2015 LPGA rookie Lee had six top-ten finishes, including a third place in Williamsburg. She played on the winning Solheim Cup, and took second at the 2016 LPGA HEB Hana Bank Championship. Lee’s 2017 year was a bit of a struggle by comparison. She dropped back to 86th place in earnings, with only one top-20 finish for the season. Her 2018 season has been even worse. When she came to the LPGA ShopRite Classic presented by Acer in June, she had just taken a month off to try to figure out how to end her run of bad golf. Unfortunately, the challenges of the Bay Course proved she still has work to do. After the first round of the 54-hole tournament, Lee was 5 over par and not likely to make the cut without a miracle. Tall fescue is present at several locations on the Bay Course, site of the ShopRite LPGA Classic presented by Acer. This is no place for a golf ball, especially if the golfer is in a slump. I joined Lee, Becky Morgan, and Kim Kaufman at the 352-yard par 4 10th for the storm-delayed 5:16 p.m. start of their second round. Morgan and Kaufman hit the fairway with nice drives. 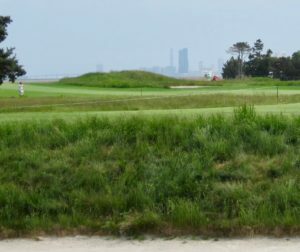 Lee’s effort went short, right, and wrong, into high fescue 177 yards out. Her second shot landed in a fairway bunker only 50 yards closer. Her third finished on the green, 35 feet away, and she two-putted for bogey. After a routine par on the 11th, Lee’s drive on 12 landed once again in fescue, between two left side fairway bunkers. Her attempted escape stayed right there. She hit a decent third to just below the green, and let out an audible sigh as she left the high grass. She made bogey. Lee’s challenges with game management continued on the 419-yard 14th. Her drive landed in the rough left of the cart path, left of the fairway, 177 yards out. Lee’s caddy said she could get a club on it, so she tried to hit a hybrid. It pulled left, landing 65 yards from the hole with tree branches blocking a normal recovery. Lee hit a low runner that stopped in the rough several yards from the green, and then chipped over the green to a closely mown area 12 feet past the hole. She then made a fine putt, but it was yet another bogey she didn’t need. Lee had one bright moment as darkness fell, making an eagle in the par 5 third to finish for the day. Unfortunately, her struggles returned with a vengeance at 7:15 the next morning on the 381-yard par 4 fourth hole. Once again Lee’s drive went short, right, and wrong, landing in high fescue 191 yards out. Her second shot went nowhere, forcing her to take unplayable lie relief that led to a fourth shot from a fairway bunker for the adjacent 5th hole. That one landed in the left rough 57 yards out, and the fifth shot landed on the green. Lee two-putted for a triple bogey, and was clearly subdued. Double bogeys on the 7th and 8th holes added to the misery, but she finished with a nice par on her last hole of the day. “I feel like, moving forward, we’re at the middle of the year. I just need to do whatever I can to be confident and try to turn things around,” she said. Lee knows that she can eventually play better, but this current run of form is no fun at all. “It’s just frustrating. I’ve actually been through a few slumps before, this is like the fourth time I’ve been in one, and the longest,” she said. Most golfers at Lee’s talent level eventually recover. For a player of such promise, however, this current downturn has to be nerve-wracking.